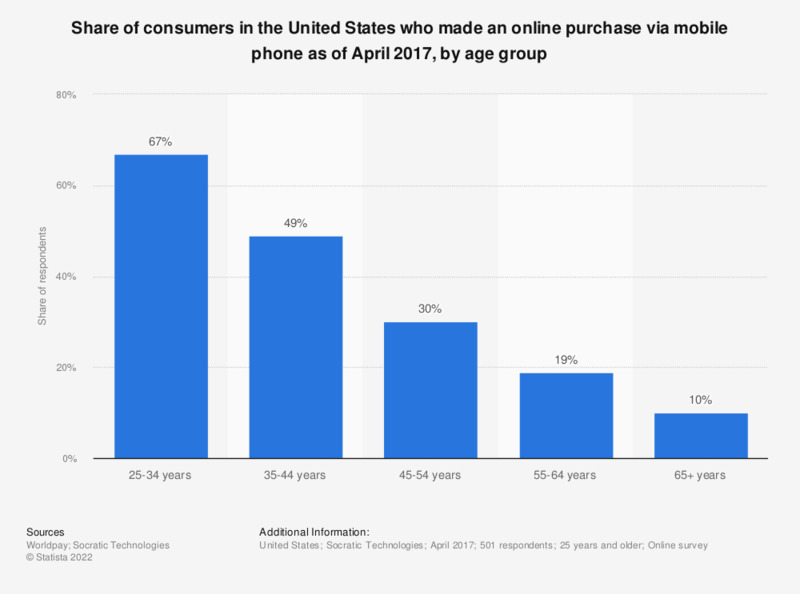 This statistic presents the share of consumers in the United States who made a purchase via mobile phone as of April 2017, by age group. During the consumer survey, 67 percent of respondents aged 25 to 34 years stated that they had purchased something online via mobile phone in the past three months. Why did you shop via smartphone?